IBM has taken legal action against its former HR leader in USA for allegedly breaching a one-year non-competitive agreement by accepting a role at rival firm Microsoft. Court documents obtained by HRD reveal that IBM has successfully lodged an injunction that prevents Lindsay-Rae McIntyre from working for Microsoft. 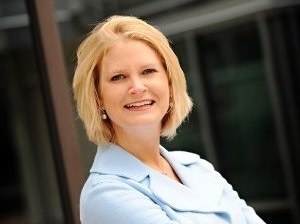 McIntyre worked in a variety of HR roles at IBM over more than two decades. Most recently, she held the role of HR vice president, IBM Executive Succession and Development and chief diversity officer. On 12 January, McIntyre accepted a position with Microsoft to serve as its chief diversity and inclusion officer in Seattle, allegedly in breach of her contract. Within hours of IBM filing its suit, a New York federal judge issued a temporary restraining order preventing McIntyre from working at Microsoft until the hearing is held. McIntyre has denied that she is in a position to exploit sensitive HR information for Microsoft’s benefit. “I was exposed to IBM’s diversity data across its various business segments; however, as one would expect in an organization of over 380,000 employees, I certainly have not committed any of this to memory, nor have I taken any materials from IBM that would reveal this data” she told the court. The case will be watched closely by senior HR professionals around the world.